My first impression of Yannick Aellen's Dark Crooning EP...UTTER TERROR. This is one dark bit of electro pop. While not quite as frightening as Nick Cave, Aellen comes pretty close. THIS is the type of music you would expect to hear on the soundtrack of an edgy horror movie. 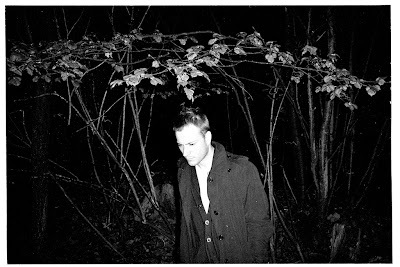 His Dark Crooning EP was released on August 6th and features three dark, morbid electro-pop tracks that may very well make getting to sleep tonight difficult. "Crooning" is the first of four EPs to come from Aellen and I have to say, I'm intrigued by this guy. With the sheer number of press releases I get in my inbox, it was Aellen's background in "management, casting, choreography and creative support for various fashion labels and events" that caught my eye. What an INTERESTING lead in to music. Makes a lot of sense if you think about it. "The Devil (Is A Woman I Never Slept With)" is already being used on the catwalk by Berlin fashion label Kaviar Gauche. Aellen's music is also a favorite for British/Taiwanese label Victim by Mei Hui Liu. 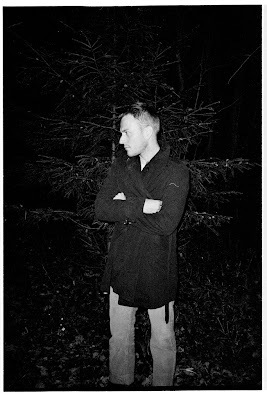 In addition, Aellen has lent his talents to big name designers including Louis Vuitton, Miu Miu, Todd Lynn as well as to stars like Vanessa Paradis and Patrick Wolf. He also served as a judge on two seasons of Switzerland's Next Supermodel. Despite having a busy career in fashion and the arts, Yannick Aellen has actually been making music as a singer/songwriter for years. I have to say, this was an unexpected surprise. Check out the STUNNING artwork and photography from Adrian Ehrat and Silvio Waser. Check out "The Devil (Is A Woman I Never Slept With)" below and download the EP on iTunes. Stunning, stunning, STUNNING. A word that decribes Janelle Monae as a person and as an artist. It also PERFECTLY describes her video for "Cold War," which was just released today. Absolutely gorgeous. The concept of the video is simple...in that there is no concept. It appears to have been shot in one take, close up on Monae's beautiful and expressive face. Beautifully sung, this up-tempo song could very well have been given to the same FUNKY and FUN treatment as her first single, "Tightrope" but the director clearly went a different direction. 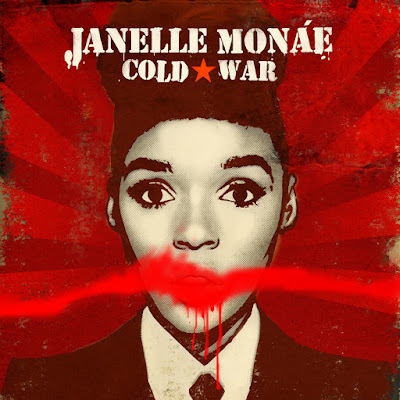 "Cold War" evidently has some deeply personal meaning for Monae and her tears are most certainly real. Wow. Powerhouse. Janelle Monae NEEDS to be listened to America. Get on that! And then there were two. 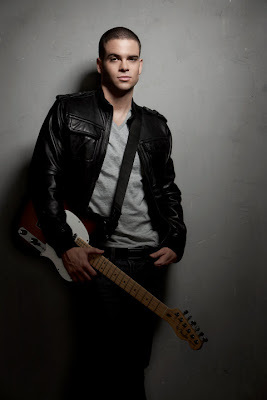 Two stars from TV's Glee recording debut albums, the latest being Mark Salling. Best known for his character "Puck" on the award winning series, Salling announced the news today via Twitter, telling his followers that the album would be out this Fall. OK. Wow. It appears that Glee cast members are dropping solo albums faster than certain members of a defunct British girl group (*cough* GIRLS ALOUD *cough*)...possibly faster! FIRST came news back in January that Will Schuester's alter ego Matthew Morrison signed an exclusive worldwide recording deal with Mercury Records with an album due out in the Fall. Morrison told The Hollywood Reporter back in June that his record is going to be a "dance heavy" blend of jazz and R&B...kind of like Michael Buble mixed with Justin Timberlake. "It's me and a big orchestra behind me," the star told THR, who also mentioned writing all of the music. "I love nineties stuff like Alice in Chains and Nine Inch Nails...I also love jazz greats like Coltrane, Miles Davis, and Herbie Hancock. I'm combining those two genres to make rock melodic and accessible." Pipe Dreams Announcement - Oct. 12! from Mark Salling on Vimeo.